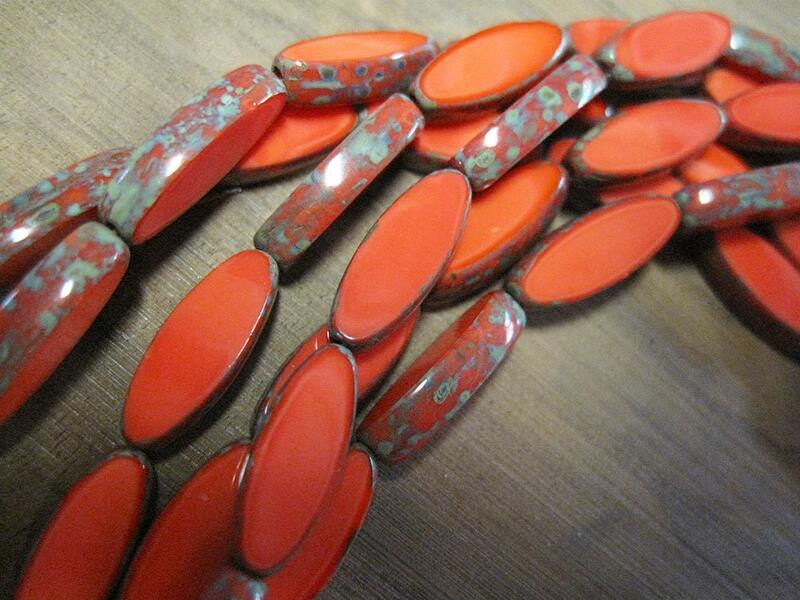 10 red orange with Picasso Czech pressed glass spindle beads! 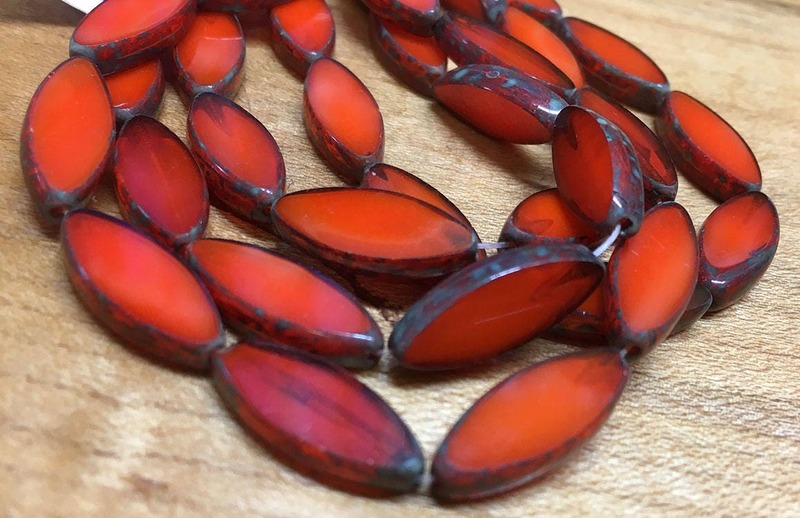 Beads are 17x6mm. Transparent and opaque. These are really lovely, thanks! A brilliant red! Quick shipping and a pleasure to deal with.